Fight With Your Feet: Not so smooth. I attended a nice Christmas party filled with cookie decorating, magic dollar games, a photo booth complete with mistletoe, and good friends. As I was conversing with a nice young lady about the Toms she was wearing, I explained Lucha Shoes and how we are going to provide a better shoe at a better price. 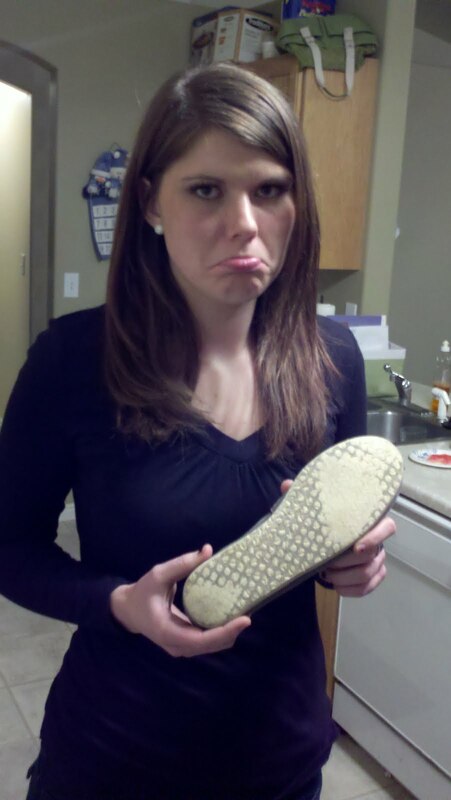 She then mentioned that her Toms, which were brand new in August, were already wearing smooth on the soles. You can see by the frowny face that she is looking for a shoe that won't get smooth with her :) If we chance to meet a frown (about shoes), we'll quickly turn it upside down and smile that frown away. The rubber we use for our outer sole is strong and long-lasting. What are you fighting for? Fight With Your Feet. Lucha Shoes.